Do you want your blog posts to rank on top spots in search engines’ results? Top spots send lots of natural traffic to your website. More traffic means more conversions. More conversions mean more revenue. There are certain requirements and different strategies how to get your web pages to those top spots. One of them is to use low competition long tail keywords. In this blog post, I want to show you step-by-step how to find high ranking low competition keywords. For this, I use Jaaxy Keyword Tool – the best long tail keyword research on the market today. You may use some other keyword tool if you want, or sign up for a FREE Jaaxy trial. It gives you taste about the tool. That is Google Instant feature. I’m sure you have used it a lot. But did you know how beneficial this Google feature can be? 1.1. What is Alphabet Soup Technique? It’s a fast and simple technique that uses this same Google Instant, to help you find relevant long tail keywords. In this case, just type its letters a, b, c, d, e, etc. right after a keyword. Make sure you put space between the letter and your keyword. Do the same with other letters of Alphabet: c, d, e, f, etc. You see how many good ideas you get from here. 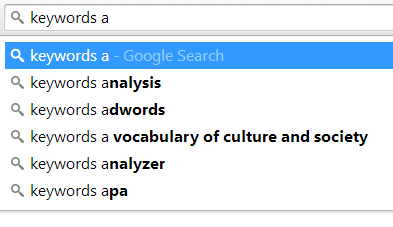 But as you see, the search is broad and the Google suggestions are as broad, too. 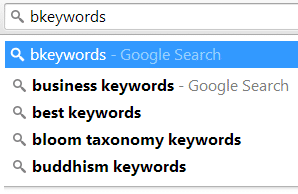 If you want more accurate results, you have to type more specific keywords too. You can do the same, only use letters a, b, c, etc. BEFORE your keyword. This time, make sure you DO NOT put space between a letter and the keyword. Just continue like that with other letters in the alphabet and you find many more ideas. That is all you need to know about Alphabet Soup Technique. It’s fast, simple and highly beneficial, right? Now that you know how to use Alphabet Soup Technique, let’s collect all the relevant keywords. For this, I make my screen into two parts. If it is not possible, I just put my browser and some text editor side by side. This way it is easy to copy-paste relevant keywords from the Google Search to my keyword list. So what I do is that if I find a good and relevant keyword from the Google Instant, I copy and paste it into my keyword list at the right. To find keyword ideas I use Alphabet soup and those long tail keywords that I get from Google Instant results. Then I can apply Alphabet Soup Technique to those keywords. 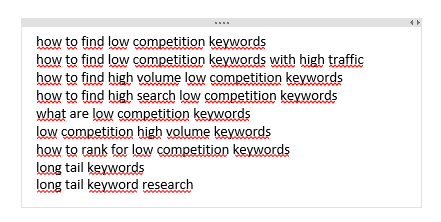 These are the keywords that are used in Google, but I DO NOT know yet if they are also high-ranking, low competition keywords. To know this, I want to use the best long tail keyword research tool available. And this is Jaaxy Keyword Tool. Jaaxy is powerful keyword tool which helps you find high ranking keywords. There are several features, and metrics included that I have already covered in my Jaaxy Review. In this post, I show you, how I use Jaaxy to find those keywords. QSR stands for “Quoted Search Results” and it measures the competition. The lower the number, the better. 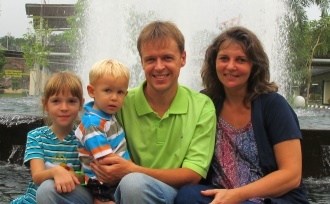 (more detailed description about QSR here). Even though keywords with QSR less than 300 are considered good, I prefer keywords with QSR lower than 100. It’s easier to rank with them. In this case the bigger the number, the better. But it should be minimum 100, so you get at least some traffic. 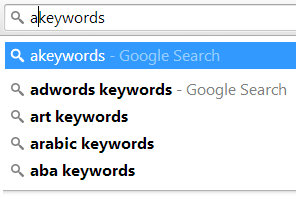 Even though people type in keywords that don’t make sense, you cannot use them. When I notice low competition keywords that I could use in my blog post, I select them and save into a Jaaxy Keyword list. After that, I copy and paste another keyword into Jaaxy and do the same process again. You may find new keyword ideas while doing your keyword research so use all the ideas because you may find some very high traffic, low competition keywords and they help you rank higher. Once you think that you have collected enough keywords, just open your keyword list and select the best keyword for your blog post. Remember, you are looking for a keyword which has the lowest QSR and at the same time highest Monthly Searches. And which makes sense. 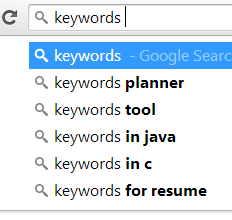 A Question: What do you think, which keyword in the list looks the best? Remember, both requirements have to be fulfilled at the same time. “long tail keyword research” has the highest Monthly Searches, but its QSR is great too. In my opinion “best long tail keyword research tool” is the best. It has Monthly Searches 199 and QSR 44. 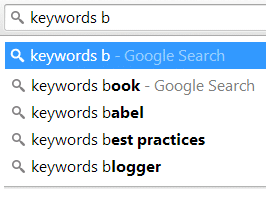 Now the only thing left is to create an attractive blog title, using this keyword. Besides, that use the same keyword in your first paragraph. Then just write naturally. And that’s it. If you write quality content consistently and use low competition keywords, your web pages begin to rank high. Thank you for reading my Jaaxy Keyword tool review. I hope you found what you were looking for. What do you think – Is Jaaxy the best long tail keyword research tool or not? I’d love to hear from you so please leave a comment below and let me know what you think… Also, how do YOU find low competition keywords? Thank you for the feedback, Baber. I am happy to hear the guide was helpful. Jaaxy is an excellent tool for it, indeed. And, as you probably know, it takes some time and patience to build organic traffic. However, if you are consistent, it will start to build and you will meet more success. It’s nice feeling isn’t it. So don’t give up. And here’s my suggestion: If you want to learn step-by-step how to build organic traffic, I recommend you to try my number 1 tool here. Fortunately, it has a free starter membership so no credit card needed, no money, and no obligations from your part.